Packaging a nation's identity into an iconic pack for tourists to bring back home and relive thier holiday's memories. Embracing the tropical Malaysian identity in a colourful pack for their local delicacy, dodols and flavoured cookies. 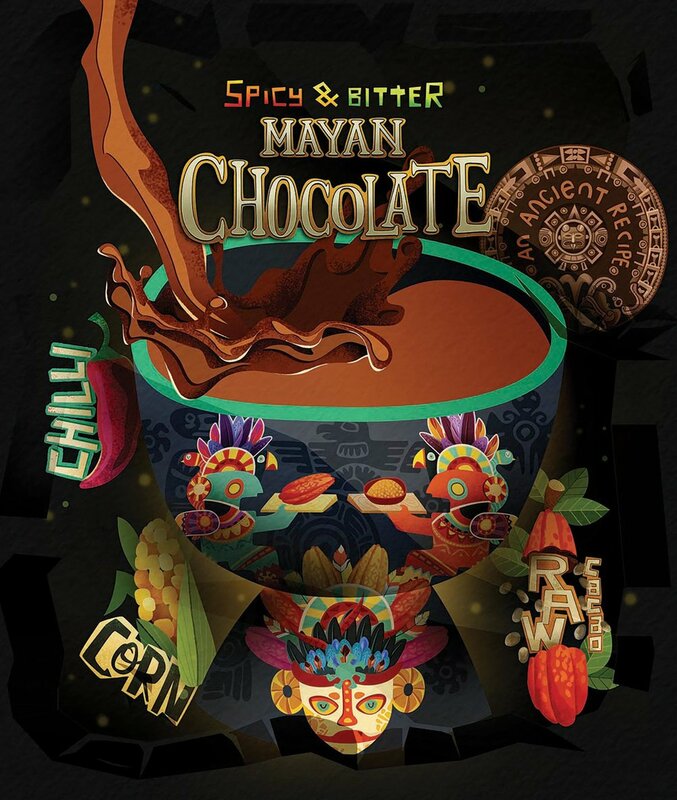 A more traditional approach with Batik print was employed for the chocolate packaging. 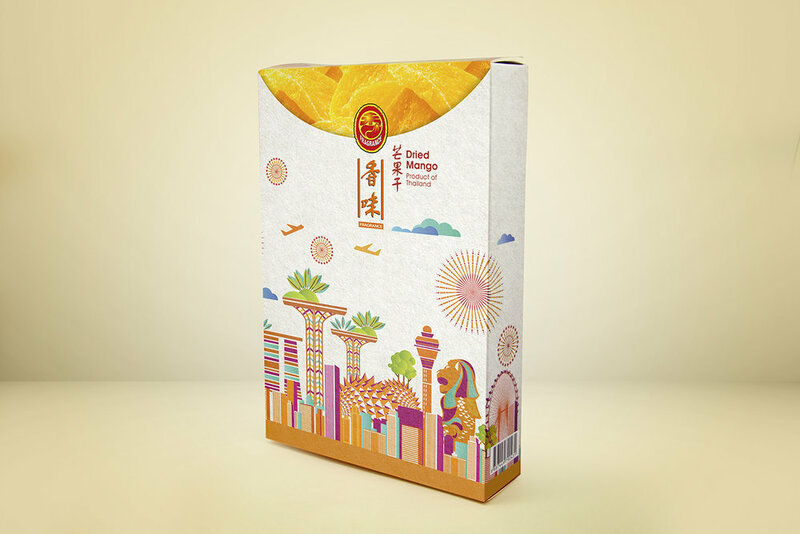 Sunnyhills is a Taiwanese brand that sells pineapple tarts internationally. Their brand strategy was to commemorate SG50 in order to appeal to Singapore consumers. The elaborate illustration of Singapore’s cityscape that flows over the edges fluidly, depicts limitless continuity and progression. Along with that, the spirit of the country is manifested by bright red which welcomes peaceful celebration and festivities among heartlanders. Located at one of Singapore’s most cultured tourist areas, this tourist pack exudes the Singaporean spirit while maintaining an air of Chinese heritage with its mixed-media style illustrations. De Fu Xiang is an 18-year-old company based in China. 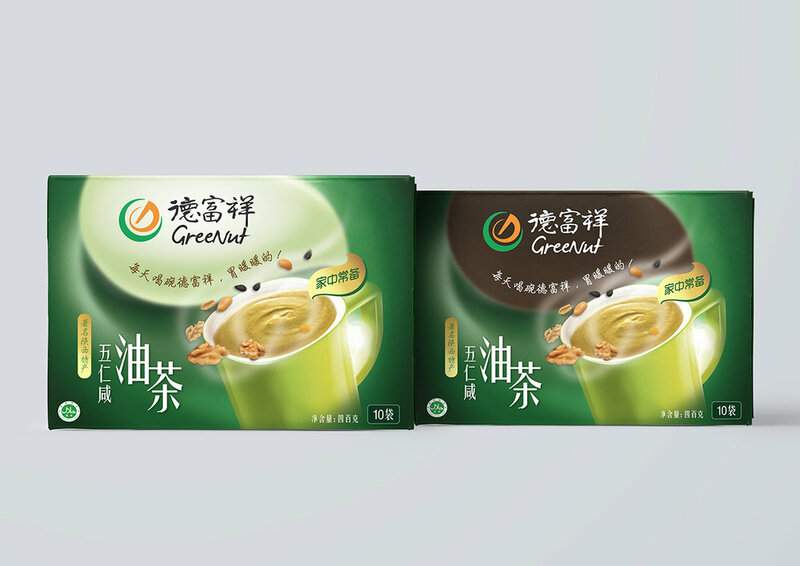 Their forte lies in offering healthy breakfast options; tea and oatmeal, sold in both online and retail, the latter being from Xi An spreading throughout China. The challenge lies in targeting both platforms, therefore providing consistency by encapsulating the heartiness of tea. The brand strategy is to communicate a perception of fragrance and warmth in the product’s aroma. Xi An, being one of the oldest cities in China, wealthy in heritage, the contemporary illustration prompts a sense of nostalgia. The design elicits rediscovery while the infusion of Xi An’s rich culture with modernity instils a sense of timelessness and fascination. Two different packs for traditional Chinese delicacies. Set to be sold at Changi Airport’s Terminal 4, we designed a quick grab-and-go pack for Dragon Brand Bird’s Nest apt for tourists, considering the limited time spent duty-free shopping before their departure home.